In the early spring of 1990, lots priced at $20,000 were advertised in the new community, located near the intersections of Bethany Boulevard and West Union Road in northwestern Portland, Oregon. Four house plans were available, ranging in price from $173,500 to $198,500. In June of that year, the first Declaration of Protective Covenants, Conditions and Restrictions for Claremont was recorded in Washington County another step in formalizing the community as an active adult resort. It seemed as though people were slow to respond to the concept of 55+ housing; only 14 homes were built and occupied by May 1991. There was a very close feeling among those early residents almost like family. There were luncheons in the homes at least once a month, caring for each other when there was illness, and a sharing of good happenings. 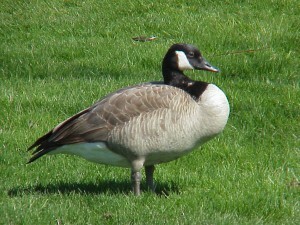 There was even a shower for Gertrude, a Canada goose that nested near one of the homes! The geese were a novelty, not a problem, at that time. The Marshall-Grimberg development corporation held meetings in model homes that were built in 1999 and in some of the residents homes, further encouraging the close neighborly feeling. They were generous with gifts to homeowners, which included T-shirts, glasses with the Claremont logo and tulip bulbs. The Barn was the office and residents were told that it would be used as an activity center. In 1991, Claremont, the crème de la crème of adult communities in the metropolitan area, won top honors at the Home Builders Association of Metropolitan Portland's second annual Marketing Merchandising Excellence Awards. In March 1992, 49 homeowners attended a meeting where George Marshall presented the plan for the Clubhouse and swimming pool. Both were completed in July. 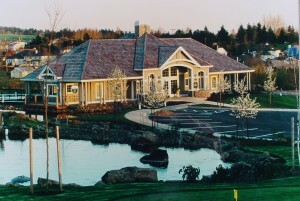 The developers hosted many social events at the Clubhouse, open to residents and their guests. Gone was the Barn. It was moved to another area and is now used as a maintenance facility for the golf course. 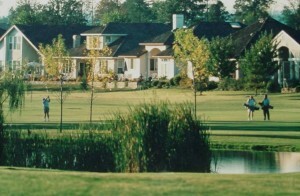 In 1992 Claremont Golf Club was formed. The Oregon Golf Association accepted Claremont although there were only 24 members, counting men and women, because OGA was certain that the 50-member minimum requirement would soon be met. The Claremont Women's Club was formed in 1994. Many other clubs were formed in subsequent years, including the Singles Group, the Men's Social Club and activity-based groups such as bridge, book clubs, walk and dine, men's cards, and aerobics—and, of course, golf! It was almost impossible to feel isolated under the auspices of the Homeowner Association. By the time the community was completed, it encompassed four homeowner associations: the Claremont Civic Association to which all homeowners belong, the Claremont Greens Association (consisting of 168 single-family residences and townhomes on the east side of Bethany Boulevard) and the Claremont Townhome Association and the Greens Townhome Association. A total of 556 homes are included in Claremont. Of those, about 100 are townhomes. Over time, additional house plans were made available and variations were made to the original house plans. The Civic Association oversees nine acres of common property. The Greens Association and the Claremont Townhomes also have common property. In 1995, the Claremont Townhomes won the Gold Home Award for Best Design for an Atttached Home Priced $150,000 or more from the Home Builders Association of Metropolitan Portland. The Oscar-like statue commemorating the award is displayed in the Clubhouse. 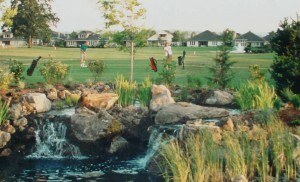 In 2000, a separate corporation of homeowners, the Claremont Golf Club, Inc., was formed to purchase the 9-hole public golf course that winds its way through the neighborhoods on the west side of Bethany. With a door-to-door campaign, a committee raised $1,400,000 from homeowners to acquire the premier amenity of the community so that control of its operations and management would remain with the homeowners. The Claremont community is complete. Today's 900+ homeowners enjoy amenities that include a 12,000 square-foot clubhouse, swimming pool, croquet/lawn bowling court and tennis courts. Residents of the Greens also enjoy a smaller clubhouse, the Terrace House, a swimming pool and an 18-hole putting course. In the fall of 2012, residents voted in favor of the merger of Claremont Civic Association and Claremont Golf Club, Inc.. Effective January 1, 2013, all residents of Claremont are owners of the Golf Course and eligible to apply for membership of either Claremont Women's Golf Club or Claremont Men's Golf Club.